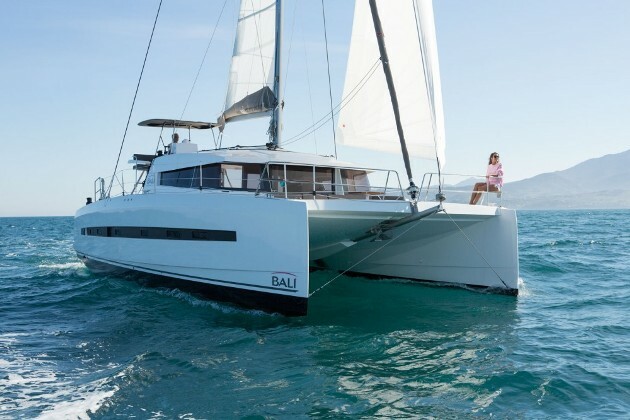 DOUBLE TROUBLE is the Caligo, premium option version of the Catana 582. An owner version, 3 cabin layout with the owner hull to starboard, two guest cabins with ensuite in the port hull and a very large crew cabin with bathroom, shower and airco forward. A U-shaped galley thrones over a vast salon and forward facing chart table. 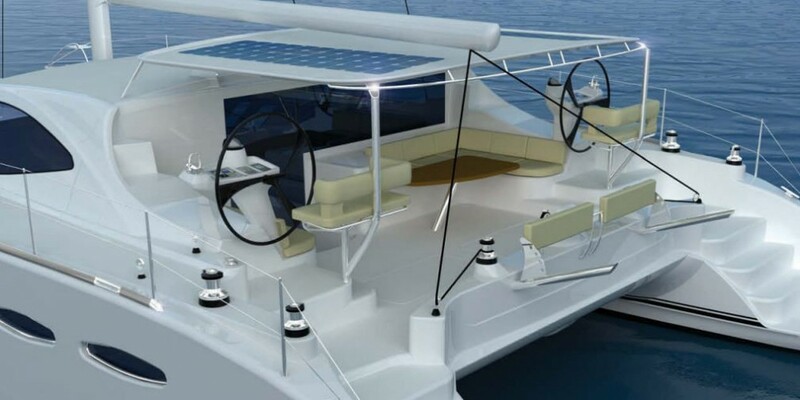 She sports an ESPACES COMPOSITES carbon mast, NAVTEC textile rigging, carbon longeron and crossbeam. Composite sails by DOYLE include a main, genoa, solent on self tacking track, two gennakers and an assymetric spi. A solid bluewater package for swift passagemaking in all wind conditions. 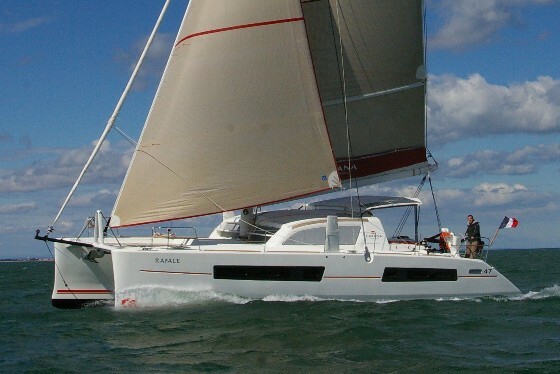 Her experienced owners have owned multiple 55+ foot cats over the years, specified the boat from new, sailed her across the Atlantic in the ARC and keep her behind their home. She is well loved and looked after. 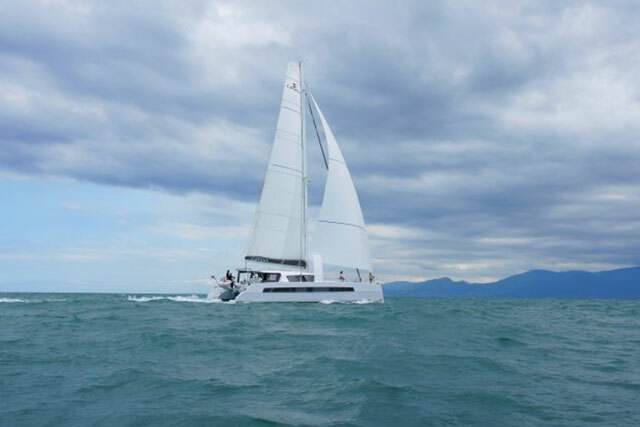 Equipment and amenities include large 12KVA generator, aircon throughout, large watermaker, galley fridge and freezer, ice maker, cockpit fridge for drinks and an extra freezer for longer voyages. The nav electronics are B&G and she has redundant plotters, radar, AIS, SSB. 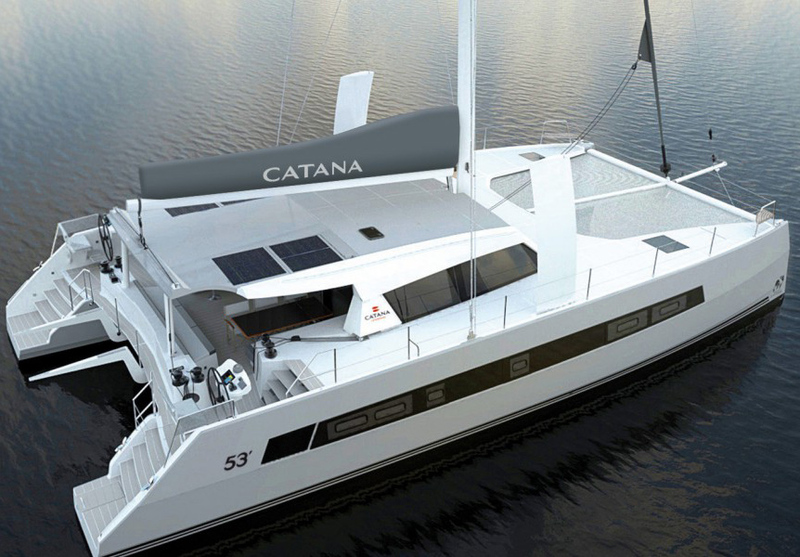 We have listed and sold a good number of Catanas 58s here at the The Multihull Company over the years. Its very rare to find one that has had a single owner since new and I can say that it has made all the difference here. The interior finishes - cherry and mahogany veneers, joinery, corian counter tops - are clean and will not require any refitting unlike several sister-ships on the market. 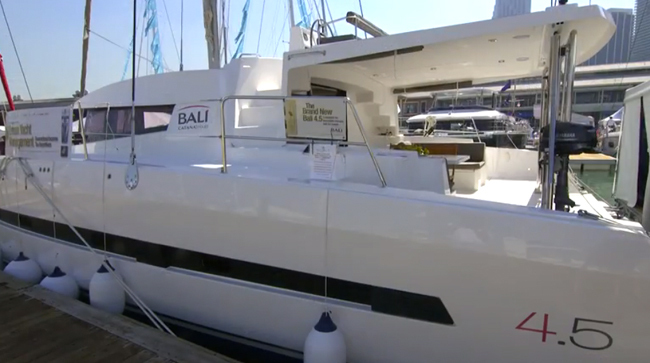 The systems are in working order thanks to the owners' proximity to the boat and frequent use. The boat is continually upgraded and major equipment such as sails, generator, standing rigging, cockpit sole has been replaced over the years. .
She is conveniently located near our offices in Fort Lauderdale for showings. A new trampoline is installed (trampolines last about 5 years) & the anchor chain is being updated. There are two general purpose FFD (fully functional display) at each helm station, one at the navigation station, & one in the owner’s cabin. Icom M802 SSB is also at the navigation station. Class A AIS, under the navigation station, is integrated with both chart plotters. There are ten winches, five 66 Harken three speed & five 53 Harken two speed. The second, Flat Rock, will shade the port or starboard half of the trampoline, allowing you to sail with the shade deployed.